Located near AIIMS, the Home Elegant stay is a pocket-friendly option when you are on the move. The rooms have a neutral palette and the color of both the bedsheets and the curtains uphold this color combination. 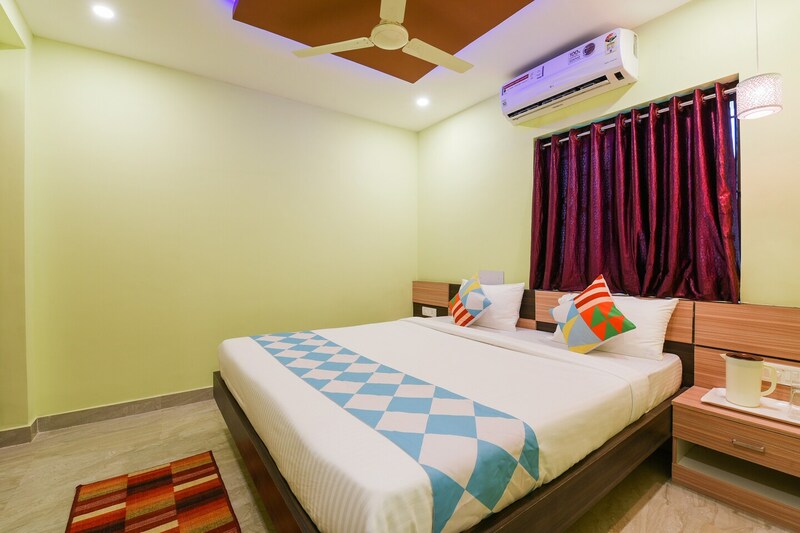 The rooms are large and also allow the customers to enjoy a much-needed fresh breath of air. The bathroom fittings are good quality and the toiletries and towels are always checked to ensure the customers complete satisfaction. The front desk service is prompt and tries to solve every query of the customer. The reception area is equipped with a plush sofa and features a stylish decor.